We all have a God Spot, an area in the brain that permits communication with a source of knowledge and wisdom outside our physical bodies. Everyone seems to have their own definition of this source of Universal Knowledge. The Hindu religion calls it Brahman. Theoretical physicists call it quantum non-locality and the children I resuscitated from death simply call it God. We use this God Spot on a regular basis when we use instincts or gut feelings to make decisions. Our instincts are immediate, not fear or anxiety driven, and involve a sense of knowing. They are not born of the logical analysis of a problem. How do we know that this God Spot is real? Medical scientists have actually located it within the brain. A process called Controlled Remote Viewing (CRV) proves it is real. We use this God Spot to have near-death experiences, pray, have spiritual visions and experiences and in meditation. Mediums use it to access information in their work. Even those who don't believe in a God or that consciousness can exist outside the brain accept these new scientific findings of a God Spot. Atheist Mathew Alpert wrote a book called The God Area of the Brain, and argued that this area of the brain explains the human delusion that there are spirits and Gods or a God that can affect our lives. The human dilemma for many of us is this: Do we as human beings create spirits and Gods to bring meaning to an otherwise random uncaring Universe? Or can we look to a source of wisdom and love outside our body to find a greater meaning to our lives. As a pediatrician, I have attempted to resuscitate hundreds of critically ill children. Unfortunately, most attempts were unsuccessful. I was surprised to learn that studies have documented that most of these parents see their children again, after they have died. Typically a child will tell his or her parents, Don't cry, I am all right; I am safe and loved. We will meet again. Yet parents typically dismiss these visions, as intensely real as they may be, as meaningless hallucinations. Over the years, with many of my patients having died, I have witnessed so many grieving parents. Ive often reached the point of burn out, a frequent occurrence in Critical Care physicians. One day, as an infant lay dying after yet another futile effort at resuscitation, my fellow physicians and I were making the sort of callous jokes and dark humor that serves to insulate us from the reality of yet another hi-tech death. While the parents sat in a nearby waiting room, we were threading intravenous lines, and using heroic medicines in one more useless exercise in preventing death. Instead of permitting the infant to die in his parents arms, instead of welcoming them into the process, we isolated them from the final moments of their baby's life. We made jokes while they longed to hold their baby one last time. The nurses confronted me angrily and ordered me to talk to the parents and apologize for our behavior. I did so, with lead feet and a callous heart. To my surprise, they took my hand and said, We forgive you. We know you were doing your best to save our baby. At first we were horrified that you would laugh and talk about the Grateful Dead while our baby was dying. But then, we realized that life goes on. Your laughter taught us that there is still laughter in this life, even with the horror of our baby's death. We thank you, we saw our baby's angel in the room with you. We pray that his angel will always be with you. Since then I have had an obligation to those parents, and all parents who grieve from the death of a child. I have spent the rest of my career attempting to answer the immediate question I had that day: Was this a real angel that these parents saw, or were they creating a pleasing fantasy in their mind to help them cope with the death of their child? This is my answer after 25 years of studying the spiritual experiences of children who have died. My assistant slowly reads me a string of eight numbers. I quickly write them down on a blank sheet of paper, 7349 2303. Suddenly my hand jerks and I make a quick scribble on the page. I tell her: My hand is moving up, curving over, curving under, moving across, now straight down. Images come to my mind, metal, thin, open, I suddenly know I am attempting to draw a structure. She prompts me: Melvin, what do you see next? I tell her everything I think and see. She helps me to organize my thoughts. For this viewing, she is the monitor of the process, to insure its scientific integrity and I am the viewer. If what I think has to do with something involving my five senses, I write it in one column on the paper. Hard, rough, curving, bright, dark, moving; rocking. If what I'm thinking has to do with anything else, I write them on the right side of the paper. I think this is silly. It is a subway train. Why did I agree to demonstrate Controlled Remote Viewing for a science reporter for NPR (National Public Radio)? I am going to be embarrassed when I get this wrong. Every thought I have I write on the paper. Objectify all mental data! says the great Guru of Controlled Remote Viewing, Paul Smith. Soon I am filled with a sense of awe, amazement! An incredible invention of man, I tell my assistabt. It is in a city, it is both scary and amazing. This is my first glimpse of the unknown target, and its emotional or aesthetic impact on me. Suddenly I start sketching. Within minutes I have sketched a wheel, with spokes, and a thin rail surrounding the central wheel. I draw small round booths which are attached to the wheel. Now it is time for the target summary. Neither my assistabt nor I know what we are attempting to describe. We have just been given a string of numbers. We must commit ourselves in writing, with a detailed description of the target before our session ends. I write that the target is an invention of man, located in a large city. It is made of metal, circular, it moves in a rhythmic manner. It has two elements, a central moving core and attached hollow elements that rock. I thoroughly describe the colors, shapes, textures, smells and other physical sensations I identify as being part of the target. I have just described the Great Ferris Wheel in London. My assistant and I were giving a demonstration of CRV for a science reporter from NPR. I instructed him to choose six targets of any sort from anywhere in the World. They could be land, water or man made structures. He was to choose an eight digit number for each one of the targets and then randomly decide which target my assistant and I would describe. We have absolutely no way of knowing which target of all the thousands of possible targets anywhere in the World he has selected. We are only given the number he has arbitrarily attached to that target. That number is the targets address, in the mind of God. I could see from the dropped jaw and look of astonishment on the reporters face that we had scored what the professional remote viewers call a direct hit. I am a pediatrician, still practicing in the State of Delaware. I started my career as a critical care physician working for Air Lift Northwest out of Seattle Children's Hospital, in Washington State. I flew hundreds of flights bringing critically ill children from a four State area to Seattle. A few children defied the odds and were saved from death. These miracle children told me contrarily to what their medical condition indicated, they never died at all! During the time we thought they were dead, they indicated that they were leaving their bodies and taking a journey to another realm, one they typically called heaven. The entire experience was completely real to them. For example, one young man described his experience of drowning and being underwater for 45 minutes as follows: He was riding in the back seat of his parents car when it hit a patch of ice, flew off the road and plunged 40 feet into a river below. He told me that the car filled up with water and then everything went all blank. He was describing his own death, the end of his brain function and the end of input from his five senses. But he was still conscious and alive! He said suddenly he was in a huge noodle. The noodle had a rainbow in it. He describes a journey which to us seems so fantastic that it must be a hallucination. Yet he insisted that it was as real as we are talking now. He traveled down the huge noodle, through a rainbow, made a brief detour in animal heaven and then went to the human heaven. He met his grandmother who had already died. He was disappointed to return to life. At Seattle Children's Hospital our research team undertook a scientific investigation of these experiences and proved that they are real. By real, we meant that they did, in fact, occur at the point of death and are not hallucinations. They are not caused by drugs, or a lack of oxygen to the brain, or from the psychological fear of nearly dying. They are not made up by the children after they are returned to life. They are a real part of the dying experience; we will all have a similar experience when we die. We went on to study near-death experiences (NDEs) in Japan and Africa. We learned that the common elements to all these experiences is that the children are conscious at the point of death, meet some sort of a God, and are taught lessons of love about living. Life, according to these children who have touched this light, is about loving and learning to be loved. In other words, we learn things about living when we die. The children told me that they entered into a world in which they suddenly knew everything that ever was and ever will be. There is no time or space in this world of the dying, only love and knowledge. As part of my obligation to understand these experiences, I participated in the National Institute of Discovery Science, funded by Aerospace Entrepreneur Robert Bigelow. I worked with Colonel John Alexander of the United States Military, a man who mentored my research for 20 years. He was the first to tell me about CRV. As he explained it, I realized that he was describing a process in which we could all access this source of Universal Information, this God as some believes it is, and obtain real information about our current world from it. For example, the London Ferris Wheel is a piece of knowledge, which is contained in such a source of Universal Knowledge. An arbitrary number can be attached to that piece of information, which then also exists in the mind of God. What I understood Colonel Alexander to say was that the United States Military had developed a reliable means of accessing such information. Once Viewers were trained to identify known targets, such as a Ferris Wheel, just by being given the Ferris Wheels identifying number, they could then be trusted to provide information about unknown targets, such as information having to do with a terrorist attack. Fewer than 100 people in the world are known to be able to do Controlled Remote Viewing. A recent Hollywood movie Men Who Stare at Goats details the history of the first seven men who undertook to learn how to remote view. I was fortunate to have learned how to Remote View from Paul Smith, the man who developed the protocol for the military. He taught us that the key word is controlled. The two of us, working as a team, learned the once classified military protocol which allows the viewers to access information about people and places throughout the world by non-ordinary means. Some would describe this as learning to listen to the mind of God and hear what God is saying to us. We have proved for ourselves that almost anyone can learn to listen to God. Our colleagues in the Kari Beem Research Foundation have published scientific studies proving that Controlled Remote Viewing is a real human ability. Such studies have been done by others as well, and have been published in the most prestigious scientific journals for over thirty years. Controlled remote viewing is the proof that I needed to realize that what happens during the near-death experience is completely true and real. If I can simply be given a number that someone else has linked to a Ferris wheel in London, and then describe and draw that Ferris Wheel, for me this is a proof that the God Spot accesses information from a real God. A dead child's life is information, an angel telling us something important we need to know is information, and instinct is the process of using information to make decisions. Seeing an angel or a vision of heaven through non ordinary senses is no different than describing a Ferris wheel through non-ordinary senses, except that the Ferris wheel can be proven to be real. Accessing information about a persons genetic structure as it should be, and using that information to heal a genetic disease or cancer should then be possible given what we know about Controlled Remote Viewing. The children taught me that when we die, we are still alive. The first child I ever studied who had a NDE died from drowning in a community swimming pool. She was documented as having no heart beat for 20 minutes. By any scientific and medical standards, she was dead when we attempted to resuscitate her. Miraculously, with her parents praying at the bedside, after being in a coma for three days, she made a full recovery. She told me that she had been in heaven. I did not believe her. I thought she was hallucinating, and it must have shown on my face, because she patted my hand and said, You'll see, Dr. Morse, heaven is fun! Besides, I wasn't dead, I wasn't dead at all. I was still alive! Some part of me, a spirit or a soul, something in me was still alive and never died. Another child who was also clinically dead, told me years later that I was never so alive as the time that I was dead. The children also claimed that they met God and learned lessons of love. Beautiful lessons that we all need to learn, about the importance of living a loving and spiritual life. Where ever I go, I see pieces of the Light, one girl told me. Another boy told me that the Light is all the love in the Universe. We are here on Earth to learn about that love, but we should not be afraid to die, as we don't go into darkness but die into the Light. One of my favorite patients, a young girl of six, told me shyly that she was no longer afraid to die, as I know a little more about it now. I felt completely humbled when she said this, as I assume that death is scary and I am afraid of it precisely because I know nothing about it. My research team published our findings in the American Medical Associations Pediatric Journal that NDEs are real, meaning that they are not caused by drugs, or a lack of oxygen to the brain, and that they are a natural part of the dying process. They are not simply invented by the mind after the fact to explain the scary experience of nearly dying. We published numerous papers in the worlds most prestigious medical journals, such as the Lancet, and our findings are now generally accepted by the scientific and medical mainstream. Other research teams around the world followed with studies which supported our research, and recently, the United Nations sponsored a 25 medical center study on NDEs. We then moved on to try to understand how it could be possible that a dying brain could somehow have a real experience of seeing and being in another world, a heaven. I trained at Johns Hopkins Medical School, and I assure you that my professors would have failed me instead of giving me awards and honors if they knew that this what I would end up trying to prove. It seems completely unscientific. The gods that I worshiped at the time, wrote books that stated things like coma wipes clean the slate of consciousness, and when you are dead you are dead and consciousness ends. These children lived their lives far differently after nearly dying. They became little mini-mystics, transformed by that Light they briefly touched in death. They did not want to die, although they were unafraid of death. Instead they wanted to live life completely. Life is for living, and the Light is for later, one of them said to me. And live they do. I studied them fifteen years after their initial near-death experiences. I also studied adults in their sixties, seventies, and eighties who had near-death experiences as children. In all of them, I found evidence of a post traumatic bliss syndrome. This seemed to consist of seeing themselves as a important part of the Universe, interconnected with every thing on Earth in a positive way. One young lady told me that she was meant to do something very important. I asked her what she thought it might be. She said, Oh, I don't know. Maybe I will never know what it is. Maybe I will be late for work some day, or be in a minor traffic accident, and then that will cause something else to happen, and then something else will happen to save someones life. Think about that, the next time you run out of gas or are late for work. Maybe you are saving someones life! In fact, many of the adults who had near-death experiences as children told me of such experiences. One man said that while he was driving with his family to go to the zoo, he suddenly just knew he had to pull over. He waited for several minutes while his wife was looking at him in a puzzled way and the kids were fighting in the back of the car. Then he knew it was okay to continue on. Several miles up the road he discovered that a tractor trailer had just jackknifed across the road. His car would have been demolished if he hadn't stopped and waited those few minutes. We studied this transformation and discovered an astonishing fact. If patients nearly died but didn't get close enough to death to have a near-death experience, then they developed post traumatic stress syndrome. This is a difficult to treat medical condition in which the patients have headaches, stomach aches, difficulty coping with life, nightmares, and flashbacks of the traumatic event. However, if they came to the point of death and had a near-death experience, they were transformed in a positive way that apparently lasts for the rest of their lives. This positive transformation associated with nearly dying seems to be another powerful piece of evidence that they are touched by a real God, and receive knowledge about living from a source outside their body that they never forget. In the late 1800s, a researcher studied mountain climbers who fell from great heights and then were saved by falling into a snow bank or some other reason. While they were falling, they frequently had the same experience that the children described. They described stepping out of their physical bodies; often actually seeing or hearing the impact of their bodies hitting the Earth. I studied children who also fell from great heights, and lived. One, a seven year old boy was pushed out of a tree accidentally by one of his friends. Time suddenly stopped for him, and he saw a woman floating in the air next to him. She told him hold your head just like this, and showed him to turn his head a certain way. You will be all right, he was told. Then time resumed, and he hit the ground 15 feet below. He was completely unharmed. In the medical literature, I found a description of coal miners who had been trapped in a mine for several weeks. They described guardian angels telling them where to go and how to survive. New tunnels they had never seen before opened up, lite with a brilliant light, and seeming to lead to other realms. Again, just like the children I studied, there was no dream like quality to any of this, all of it seemed completely real. In fact, they were accompanied by another miner that they had never met before, who seemed completely real to them. They had assumed he was just from some other area of the mine or was from a different crew. This miner seemed so real to them that when they were rescued, they were distraught because he suddenly disappeared. They repeatedly insisted that their rescuers go back to find this miner, yet personnel records documented that he did not in fact exist. He was so real that one of the rescued miners had to be physically restrained as he attempted to return to the mine to find this man who had been so important in their eventual rescue. He saved our lives, the man shouted. We cant leave him to die. Other near death researchers, such as Diane Kompt at Yale, and Ehlander Harroldsson of the University of Iceland had documented that NDEs occurred in completely healthy children and adults who were near death. Dr. Kompt showed that children, who were dying of cancer, would suddenly have intensely real spiritual experiences right before they died, and yet were not on drugs and were completely alert and conscious without brain damage. I remember such a patient of mine. With his family and the nurse gathered around his bedside, he dramatically said, Don't you see it, that white horse, with the man on it. Look, look, he is coming for me. He will take me to heaven, Mother. Don't cry, Mother, I will be safe with him. He then suddenly and unexpectedly died. I asked my medical students, at the University of Washington to ransack the medical literature to explain how it was possible that a dying or dead brain could have any experience at all, much less a complex experience such as learning new information. I told them that an important clue was that whatever the mechanism was, it must work both for healthy functional brains as well as dying damaged brains. an area of the brain that permits us to have spiritual experiences. It is on the right side of our brains, within the right temporal lobe. This is just above your right ear, almost at the center of your brain. Patients who had this area of the brain stimulated by seizures often become extremely religious and speak of God and spirits all the time. This is similar to patients who have seizures in the motor areas of the brain and jerk and move their arms and legs over and over again during the seizure. No one doubts that they have real arms and legs, just because the movement in them is triggered by a seizure. Instead, that is one way we learn about the brain areas that trigger arm and leg movements. Patients who had this area of the brain damaged by trauma, or removed by surgery were described as soul-less automatons who could not feel joy or sadness or understand meaning in their lives. The Father of Modern Neurosurgery, Dr. Wilder Penfield actually stimulated this area of the brain in awake and conscious research subjects who consented to these studies. They would say things like Oh God I am leaving my body, and I am half in and half out. Modern day researchers such as Mario Beaureguard at the University of Montreal and Andrew Newburg at the University of Pennsylvania have added to our understanding of the God Spot. Using sophisticated brain imaging studies, these researchers have been able to describe the complete brain pathways of religious and spiritual experiences. There is a specific area in the back of our brain, in our parietal lobes, which allows us to create our sense of self and being in the body. It takes all the input from our five senses and helps to create the world we think of ourselves as existing in. During meditation, this area of the brain is turned off so that this sense of self disappears, and subjects think they are out of their bodies. Then other specific areas in the brain start to function, first in the front part of our brains, and then in our right temporal lobes, our God Spot. We then have the conscious experience of becoming one with a greater Universe or interacting with a source of all love and knowledge. A God for some. Quantum non-locality for others. It is a highly personal experience. The information obtained through the experience typically only has meaning for the individual. This makes sense to me. I know from my studies of dying children that they frequently have a helper during the experience. In Dr. Beaureguards outstanding book, The Spiritual Brain, he emphatically states that there is no God Spot. I was very puzzled by this, as he bravely describes his own near-death experience in the book, and clearly does not share the everything is just brain waves mentality of many neuroscientists. I read his book several times and have written to him about this. I learned that he shares my opinion that this God Spot could be our link to the divine. In 1997, neuroscientists at the University of California at San Diego published a paper stating that humans have a God Module in our right temporal lobe. They stated that humans are hard wired to perceive heaven. This paper was widely interpreted as meaning that spiritual perceptions are just in the brain, that we are hard wired to have hallucinations about God and heaven as an evolutionary response to the anxiety and fear of dying. Dr. Beauregard is disputing this sort of God Spot. My description and discussion of the God Spot is extremely simplistic. As a neuroscientist, Dr. Beauregard knows this. His book argues that we have a spiritually-oriented brain. It is not just one little spot that is a link to the divine, but rather an extensive God network involving multiple areas of the brain. Dr. Peter Fenwick in England has also made this point. His research with functional MRI studies of the brain indicates that our entire brain seems to be wired to communicate with the divine. I am a pediatrician trying to explain this science for non-medical readers. I can only defend myself by sharing with you that both of these brilliant men have told me that my simplistic God Spot concept is a good first approximation (Dr. Fenwick's words). It seems that there is a certain type of information that we receive through our God Spot. It usually has meaning just for us. It cant be obtained any other way. It often leads to surprising and unanticipated results in our lives. Seemingly unsolvable problems, anger and misunderstandings between people we love, and depression and despair are only a few of the situations which call for solutions from the God Spot. When people say to give up a problem to God, they often mean turn off our anxious, analytic over-thinking brain noise making machine, and start to listen to the God Spot. Spiritual insights are immediate. They involve a sense of ahah or knowing. Often the solution is one that has always been known, but overlooked for no particular reason. So often when I use God Spot information to solve problems in my life, others will typically say, Oh, I knew that all along. That is a good thing; it means their God Spot reached the same conclusion. Spiritual insights are odd, non logical, often very funny. They involve seeing around the corner, so logical analysis doesn't apply. They typically complement logical analysis. I know a friend who was driving down a freeway, when suddenly a voice told him to turn left now or you will die. He did so, and was astonished that his car went right through a solid concrete wall and he ended up on the other side of the highway. At the same moment, a truck roared down the side of the road he was previously on, going the wrong way. He would have been killed if he had not listened to the voice. The voice represents a nice example of God Spot knowledge, yet his passing through the concrete wall is hardly a miracle. In fact, it is a physics problem. There is a one in a couple of trillion chances that a car, if all its atoms were aligned exactly right, can pass through a solid wall. This is not a miracle at all, but a nice example of the blending of spiritual knowledge, the when of when to turn the car, with logical analysis of the nature of matter and reality. According to the laws of physics, in order for one object to pass through another all the negative space between the particles of each solid matter must be aligned. Although highly unlikely, it is not impossible. Put another way: an atom is made up of 99.99 percent empty space (space not containing subatomic particles). All physicist know that if the spin and various subatomic forces, and the tiny bits of matter contained with atoms line up exactly right, one solid object can pass through another. This is because in fact matter is not solid at all. One way to visualize it is that the spaces between subatomic particles in a table, for example, are greater that the spaces between the planets (proportionately speaking). Science can only take us so far in understanding our God Spots. We can look to science to learn that we have a large portion of our brain dedicated to interacting with a God, a loving and universal source of all knowledge. We can read scientific studies documenting that this area of the brain seems to work perfectly even in dying dead brains. This would indicate that the source of energy to permit the God Spot to work right comes from outside the brain, at death. We can learn to do Controlled Remote Viewing ourselves. As less than a hundred people can do it in a replicable way, perhaps most would prefer to read scientific studies that verify that it is a real human ability. However, my personal experience is that when we use our own God Spots, and learn something important about our own lives, there seem to be perverse and odd forces at work that actually prevent the experience from being objectively validated by others. In my opinion, this is so we are constantly tested by faith. One property of the God Spot is that it seems to demand courage and tests our faith in order to interact with the divine. Science can tell us we have a God Spot, and that it appears to permit communication with a real God, for lack of a better word. And everyone seems to endlessly argue over what that real God is, so I will just stick with what the children who were touched by this God tell me. They tell me that this God is very nice. One boy told me that he knew it cared about him because it gave him a piece of bread. Another 3 year-old boy said, It was a happy face for me and spread his arms wide and grinned and grinned. To understand the God Spot and what it is saying to us seems to defy scientific method, at this time. Here is an example of what I mean by this: An elderly lady lived in my neighborhood, and knew of my studies on near-death experiences. She also knew I was a member of the National Institute of Discovery Science and was part of the investigation of many odd spiritual and unusual events involving consciousness. She brought me a tape cassette and played it for me and asked me what it meant. She could no longer write, so she was in the habit of dictating letters to her friends and then mailing them the cassettes. She was dictating a letter when her tea kettle whistled, so she made herself a cup of tea and returned to the tape recorder. She rewound it to remind herself of her train of thought. Instead of her voice, she heard a very high pitched squeaky noise that meant nothing to her. Her son was a local television newscaster and he took the tape to the audio technicians at the television station. They slowed the tape down and said it had been recorded at 2 1/3 times the normal speed for that tape player. They said it could not have been recorded by the cassette recorder that the elderly woman had, but that otherwise it seemed to be a normal recording. The recording, when slowed down, seemed to be a mans voice saying Bunny, I have always loved you. I treasured the brief moments we had together. I will never forget you. The woman thought that the mans voice was her first husband, who she was only briefly married to before he was killed in an airplane crash. However he never called her Bunny. The only person who ever called her Bunny was a young girl who was the child of an acquaintance. She had called her Bunny for no particular reason. She hardly knew this girl. I told the woman that I could not solve this mystery for her, it was a spiritual mystery. I asked her to go to sleep at night, asking the meaning of the recording, and to write down the first thing she thought of in the morning. She did so. When she woke up, she immediately knew it was the voice of her first husband. Later, she wrote to relatives in England where she was from, and learned that the young girl was in fact related to her first husband, and that the two of them called her Bunny unknown to her. This is a typical example of a spiritual experience. It is odd; funny in a way. It is not rational. No skeptic reading this will be convinced of some sort of spiritual reality. The technicians at the television station stated that they could replicate the recording easily, it was recorded at a standard speed for a different sort of recording device. Yet, the skeptic would then have to explain why an elderly woman would go through the trouble of such a hoax, and for what gain? Of course, we know that people have perpetuated such hoaxes, and often do it just to have fun with researchers. Yet, I don't find that a compelling solution to this particular mystery. The woman gained simply by having her spiritual intuitions validated through the process of unraveling the mystery. She had been having a number of visitations from her first husband. She had a second husband as well, but he was abusive and their marriage an unhappy one. He died many years prior to this. The phone calls back to England to uncover the source of the word Bunny led to her learning that the young girl was related to her first husband and shared that nickname for her with him. In turn, this validated all of the spiritual premonitions and visitations she had had from him. She died within six months of sharing this tape recording with me. I have had similar experiences with my right temporal lobe which have defied objective validation, and yet were very real and meaningful for me. I was in France with my French Publisher Pierre Jovanovic. I had received a prize for my theories on the God Spot from the European Book Sellers Association for the Best Non-fiction Book of the Year 2004. At the reception, I met a French physician, who told me that she did most of her healing by directly placing her hands on the patients and using energy to heal them. I thought that she was probably just kidding herself, that she was in fact doing some sort of massage therapy, and that the patients simply wanted to get well to please her. Perhaps they got better from just being touched and massaged with the muscle relaxation that went with it. She insisted that I was wrong and that these were specific procedures which unlocked lines and patterns of energy within the body. In turn this triggered specific healing physical reactions. These experiences work best with trauma and muscle memories. Memories can build up toxins and cause blockages in these energy lines. I listened politely, and gave it no more thought. That night, my friend had a terrible headache, an unusual type of migraine headache she was prone to having. We could not speak French, and had left all her medicines at home. We had nothing to treat the headaches with. The man at the desk at the hotel did not speak English and we were unable to even get an aspirin. My friend suggested that I try the French physicians scalp massage techniques. I laughed and said, Why not? If it works for her patients, I am sure I can do it and it will work for you. I did exactly what the French physician had told me, and held my hands exactly as she had described. After about fifteen minutes, something wet and sticky suddenly formed on my hand. I started screaming, What is this? Thinking it was coming out of me, I jumped up and started flinging my arms around asking my friend to get a towel and get whatever it was off of me. She got some towels, but as she wiped my hands, she saw something going up my arms. I forcefully vomited numerous times. We both eventually fell asleep and did not wake up for several hours. When we awoke, the black sticky stuff was all over the towels. My friend's headache was gone, and has never returned. We tried to take a picture of the black stuff, but our camera batteries died. We went across the street and bought new batteries, and they immediately shorted out the camera and it wouldn't work. We decided to at least write down what happened. As we wrote in our journal, the pen ran out of ink. We got another pen, and it wouldn't write. All we have of the experience is a notation in our journal that fades out as we start to describe the black tar. And an angry maid who demanded an extra tip for all that mess you made. Since we couldn't speak French, we couldn't get her to describe what that mess was. Again, there is nothing in this story that cannot be explained by a series of coincidences and an over reaction to an odd situation by my friend and myself. This story is proof of nothing. Maybe the black sticky stuff was some odd reaction between something I had on my fingers, and shampoo residue in my friend's hair. Maybe she dyes her hair, and doesn't tell me, and the hair dye got on my fingers. There are dozens of such lame implausible explanations. My friend and I know however, with information from our God Spot that this black residue has to do with old trauma in her life that was causing headaches. We know this as powerfully and as certainly as we knew that the target numbers the NPR reporter gave us the information that allowed us to draw and describe the Great Ferris Wheel in London. I now teach the protocol for CRV to anyone who is interested. We do this for free, as we consider this to be sacred information. As a physician, I have the luxury of donating my time in this manner. Or you can learn CRV from Paul Smith as I did, or Lynn Buchanan, the two remaining sources of the original protocol that was scientifically validated. My training with Paul Smith left me with no doubts as to the reality of the God Spot. It was a bizarre disorienting experience that altered all of my previous assumptions about reality. Imagine learning to listen to the knowledge of God, not from some guru in an Ashram, or a priest, but from a jack booted, former military paratrooper who speaks with clipped military precision of the signal line and objectifying all data. For a field trip, we went to see a military base and admired various tanks and other military equipment. My fellow students were extremely buff sunglass wearing young men with names like Pete Smith and Mike Brown. In our spare time, they talked about television programs having to do with cars and chase scenes. I suddenly realized that these are the modern day Shamans. * At a time when our society is awash with New Age psychobabble, these men and woman still practiced the spiritual arts that Shamans have known about for thousands of years. They are actually using this information in the same way that Shamans have always used spiritual knowledge, in secret, against the enemies of a given tribe or community. My unease at the highly structured and disciplined approach they took to communicating with God only reflected my own unease with the dark-side of spirituality. Authors Note: A Shaman is a practitioner of shamanism communication with the spirit world. They believe they can obtain information and even treat various illnesses by entering the spirit realms and bringing that information back to the tribe. I realized that men such as Paul H Smith were no longer content with the wow of spiritual knowledge. They were aggressively pursuing the how of using this knowledge and blending it with other military and intelligence information. I had been to too many Alternative Medicine conferences, where spontaneous healing of cancer patients were described, and the benefits of prayer documented. Yet no one was talking about how physicians and health care professionals could actually use prayer in a practical way to heal a patient. One reason, I realized at CRV boot camp, was that on some fundamental level no one was really taking prayer and spiritual healing seriously as a real part of our medical regimen in treating patients. At the end of my final day at CRV boot camp, I was given a total of four unknown targets, and expected to describe and draw them in such detail that the most rigorous skeptic could not claim that coincidence or luck could explain the results. I nailed all four targets. I was so proud of myself. You have no idea how hard it is to be given a series of 8 numbers under the menacing eye of a 20-year Army Intelligence Operative who successfully predicted the terrorist acts on the USS Stark. I still cannot believe I was able to accurately draw and describe the training targets. Yet when I was done, he smirked and said, Son, I guess you think you are pretty hot stuff. Now, look at this. He showed me two pictures of almost identical looking cathedrals. I bet you would be pretty happy if you drew either one of them as your attempt to draw a target that turned out to be a cathedral, wouldn't you? I acknowledged that that was true. He laughed and said, That's why you aren't on our operative teams. Because one of these is in England and one is in France. And before we send a combat team out to the target site, our viewers have to know the difference. The Kari Beem Research Foundation was born the day he made that comment to me. It both humbled and inspired me. Our Foundation is actively using CRV and other mental technologies to investigate genetic and viral diseases. Our studies will have practical applications for the treatment of AIDS, hepatitis C, and degenerative genetic diseases such as tuberous sclerosis. We are no longer content with the wow and have aggressively moved to understanding the how of mind-body healing. I am extremely proud that we have been able to contribute to the training of future generations of remote viewers. Paul Smith and his team are now using techniques that we helped pioneer to revolutionize Controlled Remote Viewing as a science. My obligation and scientific passion is to advance the understanding of the spiritual experiences that occur to dying patients and those who grieve. The scientific advances in medicine that I foresee happening advance this goal only in that the concept of communicating with God as a scientific concept will eventually become commonplace. No longer will grieving parents have to say you will think I am crazy but. . . . and then tell you some incredible spiritual event that happened to them. You dont have to wait until science validates spiritual truths as real. You can use your own God Spot and find the proof of a God in your ordinary life. I did, and I assure you that I am the least spiritual man I know. My teenage children routinely refer to me by a very nasty name. My ex-wife has been suing me for various wrongs for over seven years. This is not some sort of false modesty I assure you. I want you to directly know that there is nothing particularly spiritual about me and yet I learned to use my God Spot in a way that cannot be denied at least by me. 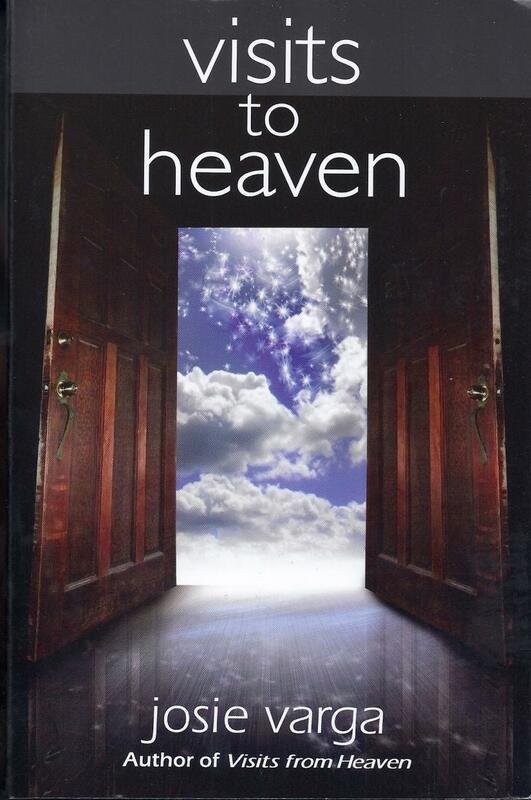 My friend and French Publisher Pierre Jovanovic wrote a book about angels. He concluded that they are very real, powerful and funny. He states that they are ever present in our lives, however we never look for them so we don't see them. He told me, Melvin, spend 30 days carefully watching everything that happens around you. You will see an angel, I promise you. Several weeks later I was called to resuscitate a baby at the hospital. The mothers placenta had separated at home, which is a medical emergency. The baby is losing the lifeline to the mother and can easily die. Medics rushed the mother to the hospital, and the baby was delivered by an emergency Caesarian section. It was blue, and not breathing. I tried to thread a tube into the baby's lungs to help it to breath, but I was unsuccessful. Three times I tried. The baby was dying before my eyes. Often the anesthesiologist will help out when this happens, but he was desperately trying to save the life of the mother. I had no idea what to do. Suddenly, I heard a calm voice say, Can I help you, Doc?. I looked over, and there was one of the medics, leaning against the delivery room wall. I motioned to allow him to try to get the tube into the baby's lungs, and he easily did so. The baby turned pink and survived. One month later, I was summoned to the Quality Assurance Review Board, and asked why I had permitted an unlicensed Medic who was not affiliated with the hospital to perform a medical procedure on a patient. I could not explain why, other than the fact that he saved the baby's life. That wasn't good enough, I was told. The hospitals malpractice did not cover Medics working on patients. Then a strange thing occurred. The medic could not be found. No one knew his name. The two medics in the ambulance denied that a third medic was with them. They were aware of hospital policies and would never come into a Delivery Room. The matter was dropped as the Medic could not be found. No notes were written by him, and no notes were written about his actions. Only the nurses, myself, and the two physicians could testify as to his existence. One year later, the mother wrote me a thank you letter about her healthy one-year old boy. She wrote, Say thanks to that angel in the Delivery Room. Once again, this story proves nothing. It is perfectly plausible to think that a third medic was in fact with the other two. That actually is commonplace for a third medic to ride along informally. The two medics could simply have denied his existence to cover their own violation of protocol. The medic might have simply not charted his actions in the Delivery Room. The nurses could have simply made an oversight when they wrote patient intubated on fourth attempt but did not identify who did it. Perhaps they thought they were covering for my first three unsuccessful attempts. Yet I know, just as I knew that target number was a Ferris wheel, that he was an angel. On the last day of Private Practice in Seattle, when I retired to Delaware to pursue my consciousness research full time, many of my patients stopped by to say goodbye. And guess who else? A familiar face also stopped by and shook my hand and said, Hey Doc, thanks for letting me have some practice intubating that infant last year. I was distracted by someone else saying goodbye and then he was gone. Why wait until you die to use your God Spot? Use your God Spot to learn your lessons of love before you die. You never know what can happen. And if you look around enough, you might even meet an angel. Dr. Melvin Morse, voted one of Americas top pediatricians from 1995-2006, has researched near-death experiences (NDEs) in children and adults since 1980. According to Dr. Morse, by studying the neuroscience of the NDE, we learn that human beings have an underused area of the brain which is responsible for spiritual intuitions, paranormal abilities such as telepathy and remote viewing, and the power to heal not only the soul, but the body as well. His interest in NDE research evolved from his experiences working in Critical Care Medicine a Seattle Children's Hospital. He published the first description of a child's near-death experience in the medical literature and was funded by the National Cancer Institute to complete the first case control prospective study in near death experiences. He is the author of such ground-breaking books as Where God Lives, Closer to the Light and Transformed by the Light. For more information, please visit his website at www.melvinmorse.com or www.spiritualscientific.com. For far too long we have been afraid that science will debunk and discredit spirituality. There is good reason for this, the "skeptic v believer" debate trivializes and belittles mankind's most precious resource: our link with the divine. However it is the current misuse of science by scientists themselves that has led to this irrational science v skeptic debate. Science is a wonderful process we use to understand and quantify reality. It is not a philosophy. Science gives us the knowledge to build a coffee maker but cannot tell us what we should talk about as we drink our coffee. We learn primarily through metaphor and analogy. Science gives us a structure and discipline so that we don't fall into the superstitions that led, for example, to the burning of elderly women as witches only 300 years ago. Yet before we can assess the experimental data of science, we need to first learn what our words mean in terms of myth and philosophy. This new understanding of science does not overthrow the materialistic philosophy, but it places it in its proper context. Video of NDE experience teaching this Click here This reality is a classroom. Consciousness came first, and the material world exists as our classroom.